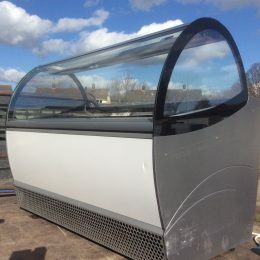 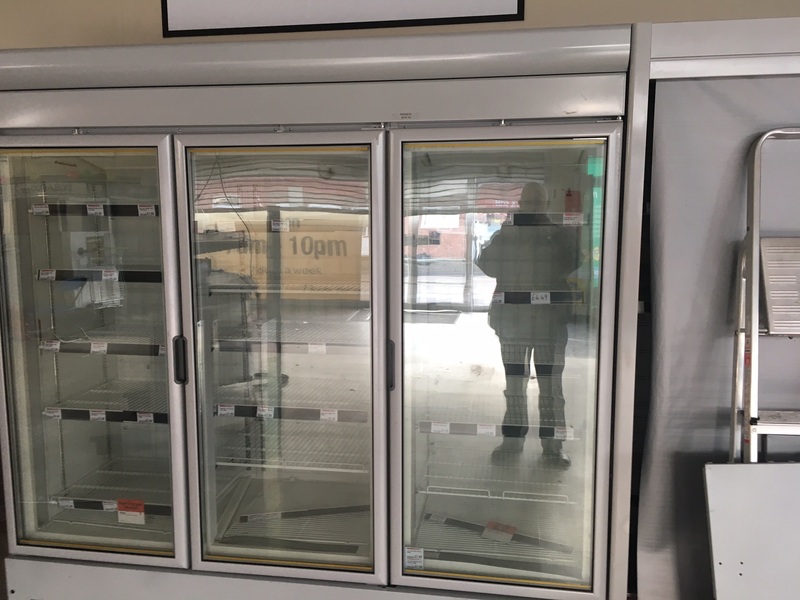 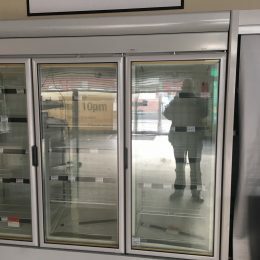 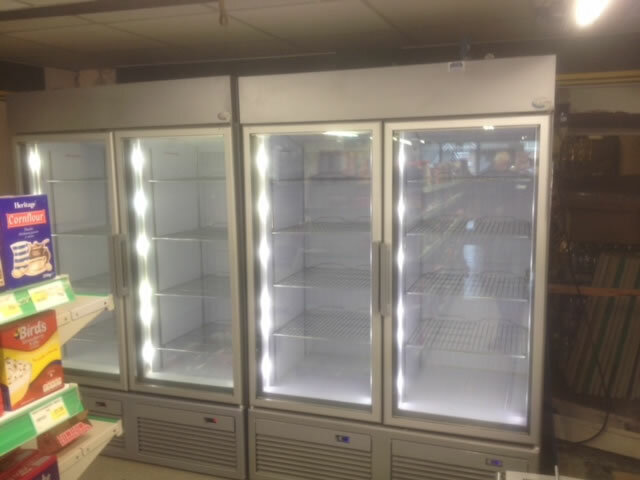 Upright single or double-door freezers, either fan-blown (which are frost free and have automatic defrost with adjustable shelves), or fixed-shelf (only available as single-door and require manual defrosting). 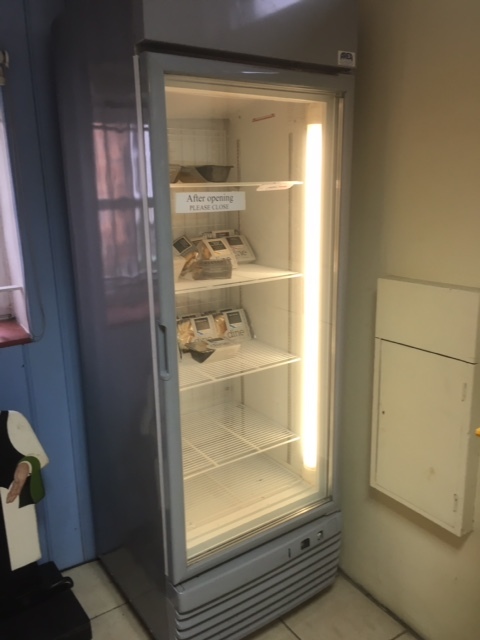 Note: The better quality double-doors have two compressors which, in the case of a problem, enables half of the freezer to work. 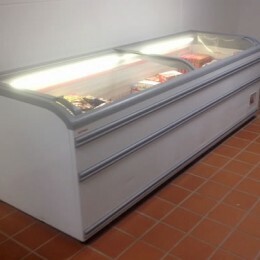 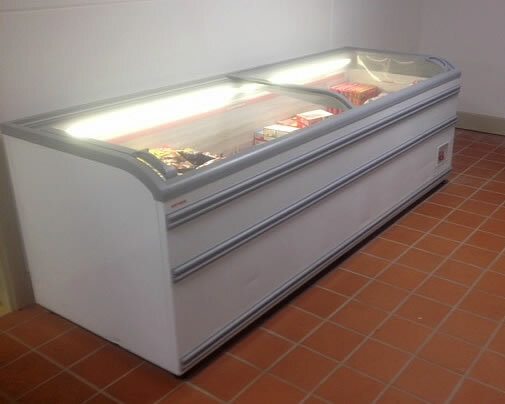 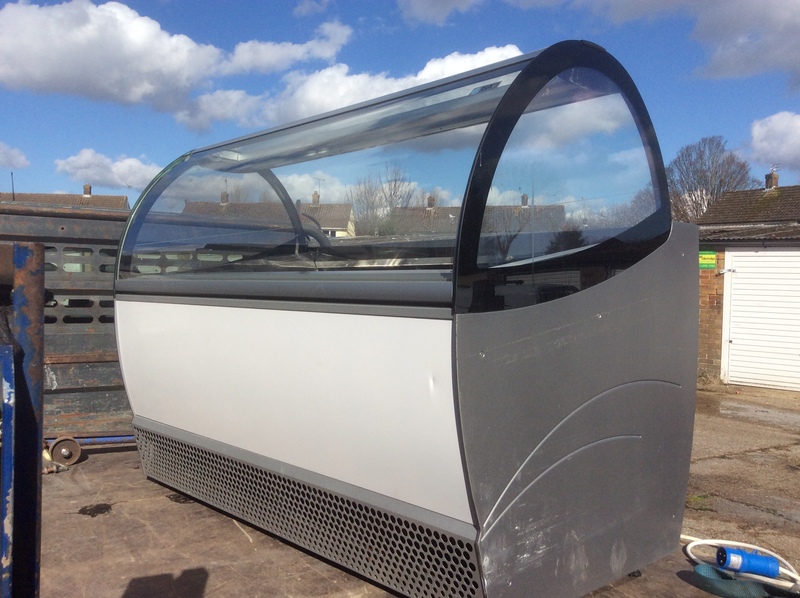 Large glass lidded freezer from 1.5 metres – 2.5 metres, available with curved tops and many feature interior lighting. 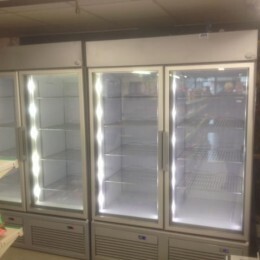 Invariably cheaper to run than uprights, but often need periodic defrosting. 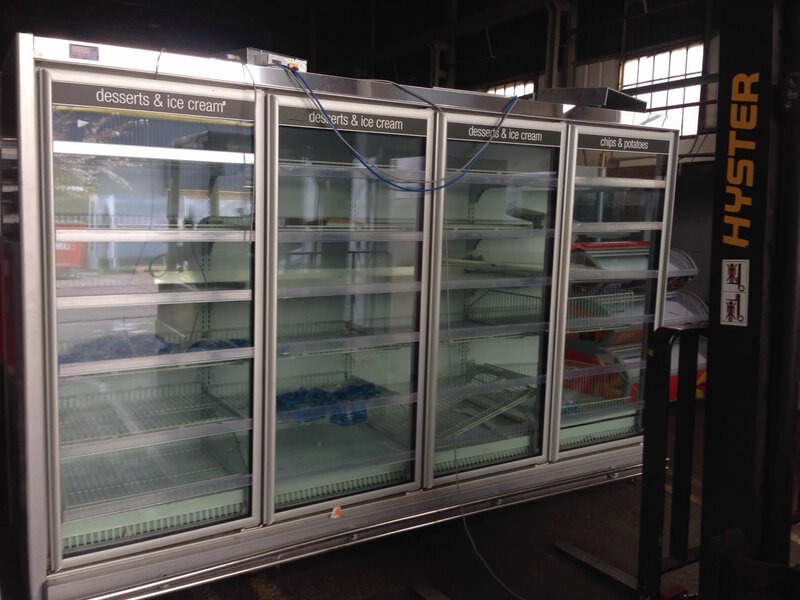 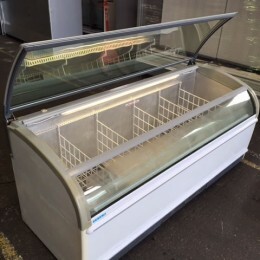 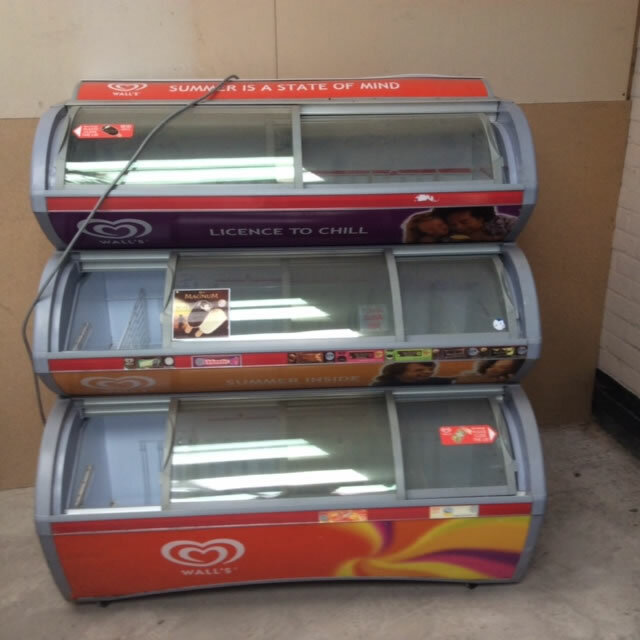 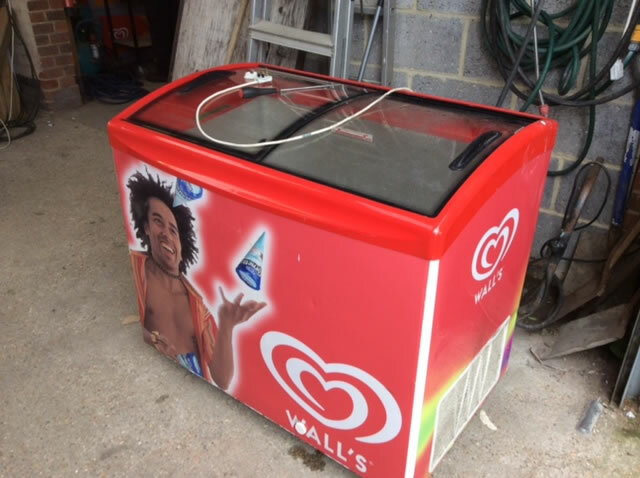 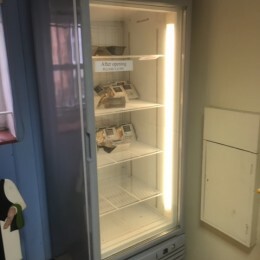 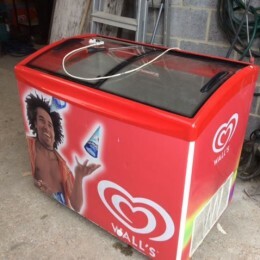 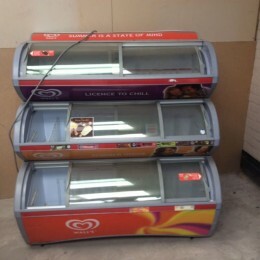 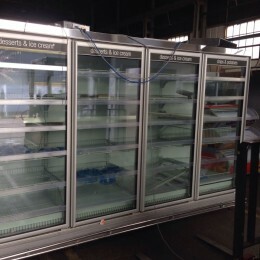 Ice cream conservators, three tier displays and chest freezers with lift-up or sliding lids (normally on castors), ranging from 50cm to 1.8 metres. 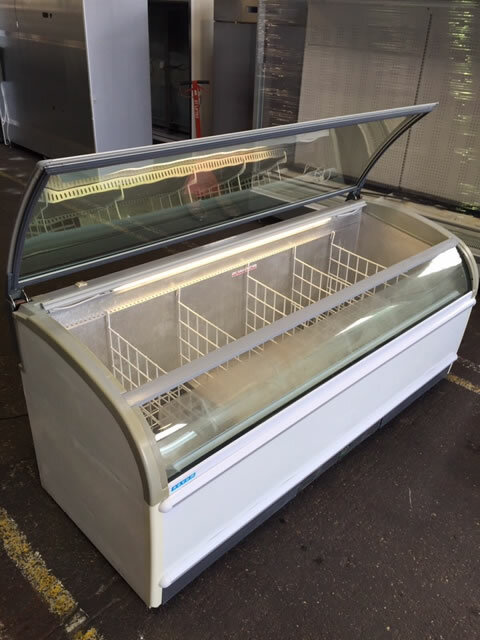 Note: Many other types of open-topped freezers existed in the past, but most have been phased out as they have been proven uneconomic to run.